This is an officially licensed and eye-catching coffee mug inspired by Super Mario Bros. As we can see from the images, the mug is shaped as warp pipe that widely appears in Mushroom Kingdom as one of the main modes of transportation in the Mario franchise. And the exterior of the ceramic warp pipe replicates all 8-bit details and colors from its original appearance, while the seamlessly integrated handle lets you easily hold it in your hand. 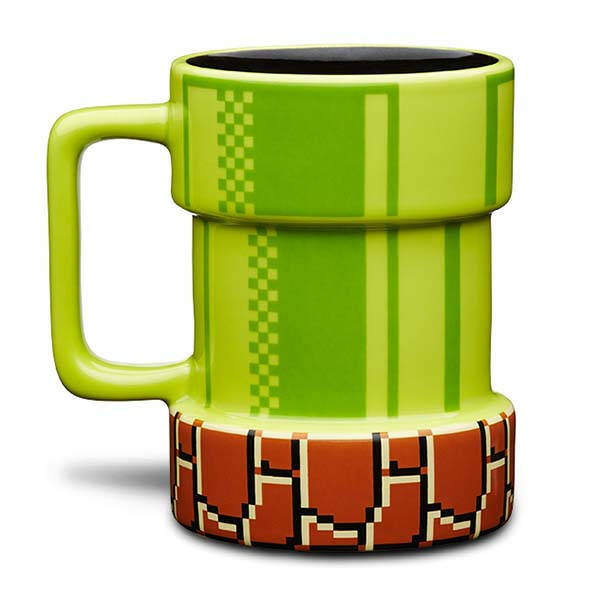 The warp pipe ceramic mug delivers 15 oz of capacity to your favorite coffee, tea, wine or any cold or hot beverage. Moreover, it’s handwash only. Don’t put it in a dishwasher or microwave. 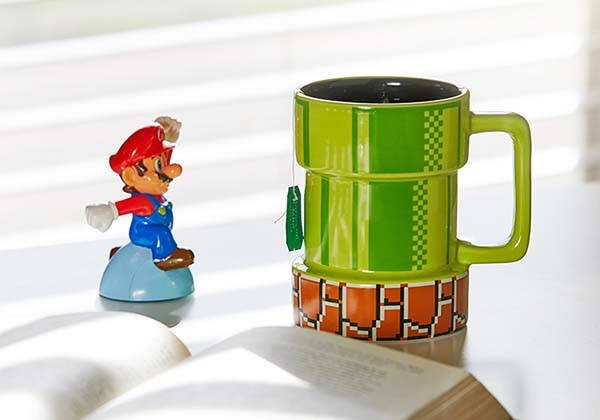 The Super Mario warp pipe ceramic mug is priced at $14.99 USD. If you’re interested, jump to ThinkGeek for its more details.